Cardiovascular disease (CVD) is still the leading cause of death in the industrialized world. 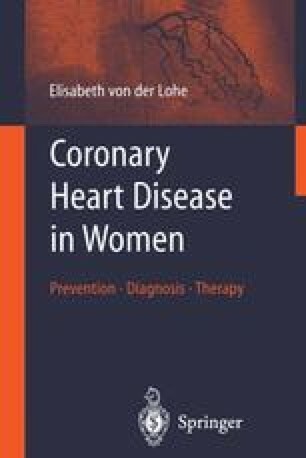 It is the leading cause of death among women as well, often obscured by the fact that men have higher CVD morbidity and mortality rates before age 75 years. Even in developing countries CVD is on the rise, ranking a close second behind lower respiratory infections. In 1995 15 million people died of CVD, which accounted for 30% of all deaths worldwide and 50% of all deaths in the Western world. Seven million deaths were due to coronary heart disease and 4.6% due to cerebrovascu-lar disease. Eighty percent of these deaths occurred in individuals age 65 years or older [World Health Organization (WHO) statistics].